It’s a whole new era. 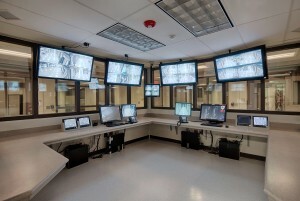 Gone are the days of opaque walls, dark, dingy window less stairways and fire rated glass embedded with wired. 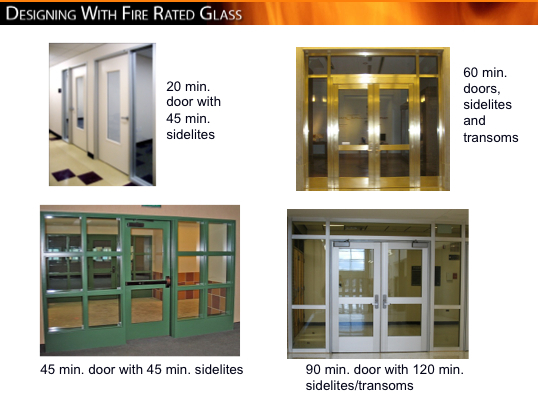 Advances in fire protective and fire resistive glazing and framing have provided transparent building materials. Glazing assemblies of today, used properly, can be used to create clear, floor-to-ceiling glass walls, light filled central staircases, and fire doors, sidelites and transoms with large vision panels. 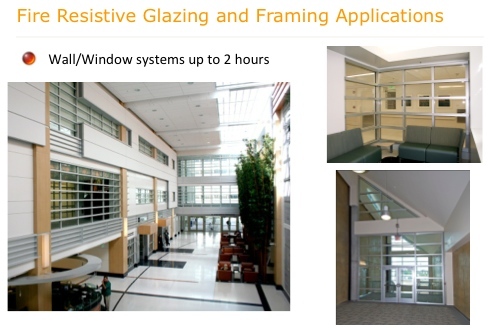 The key is determining which glazing and framing products meet code and provide optimal safety, energy savings and cost savings – all at the same time. 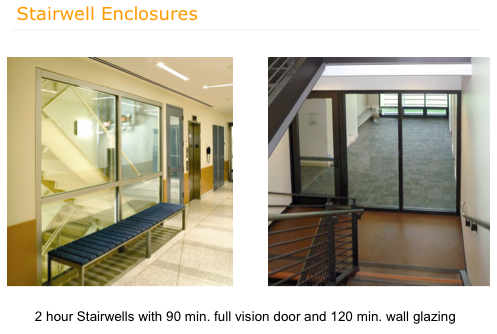 Below are some of the places that designers are using fire rated glazing and framing to gain various benefits that natural light and transparency can bring, such as: energy savings, health benefits, better morale, collaboration, learning and healing, and safety. 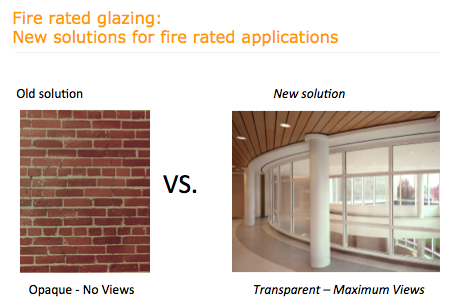 As you can see, there are fire rated glazing products that areÂ wire free, untinted and optically clear. 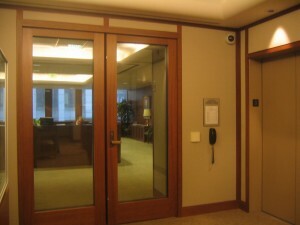 And, fire rated framing can be customized to match nearby non fire rated design. The result is beautiful design that provides maximum fire-, impact-, hurricane- and ballistic protection for an affordable price.